One race does not a season make. That's one of the key precepts in NASCAR racing. But given what happened this past Sunday to Dale Earnhardt Jr., at Infineon Raceway, that one race could have serious implications on whether Earnhardt ultimately makes the Chase for the Sprint Cup or not. What? You think that's a ludicrous statement? How can Junior, who has been as high as third place in the standings for much of the season, suddenly be in tepid if not on the edge of hot water at making the Chase? 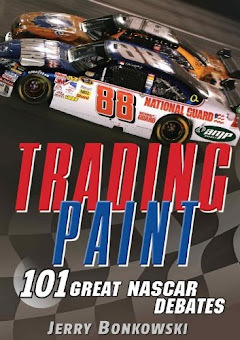 Consider that his terrible 41st-place finish at Infineon dropped Earnhardt four places in the standings, the biggest drop or gain of any Cup regular that competed in that event. Now look at the resulting fallout: Earnhardt comes into Saturday's Coke Zero 400 at Daytona International Speedway seventh in the Cup standings. At the same time, Earnhardt is also just 33 points ahead of 10th-place Ryan Newman with 10 more races remaining to make the Chase. If Little E has three or four more bad races in that 10-race streak, he and his loyal fans may be hard-pressed to see him in the Chase. And with this season's new twist to filling out the full 12-driver field in the Chase – the 11th and 12th positions will be predicated upon which drivers outside the top-10 after the September race in Richmond have the most wins – Junior cannot take anything for granted any longer. That one race at Infineon is the reason why.